Easter buffet is served on Saturday 22 April. Since Songkran here in Thailand coincides with Easter this year. 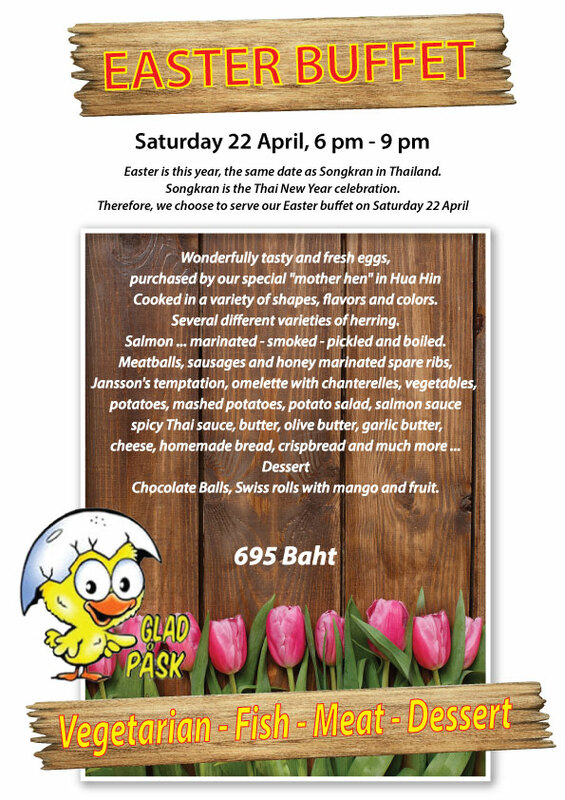 Cajutan serve Easter buffet Saturday 22 April. Cooked in a variety of shapes, flavors and colors. Several different varieties of herring. Salmon … marinated- smoked – pickled and boiled. Meatballs, sausages and honey marinated ribs. Pickles with salmon, herring, vegetables, fruit etc. Chocolate Balls, Swiss rolls with mango and fruit.